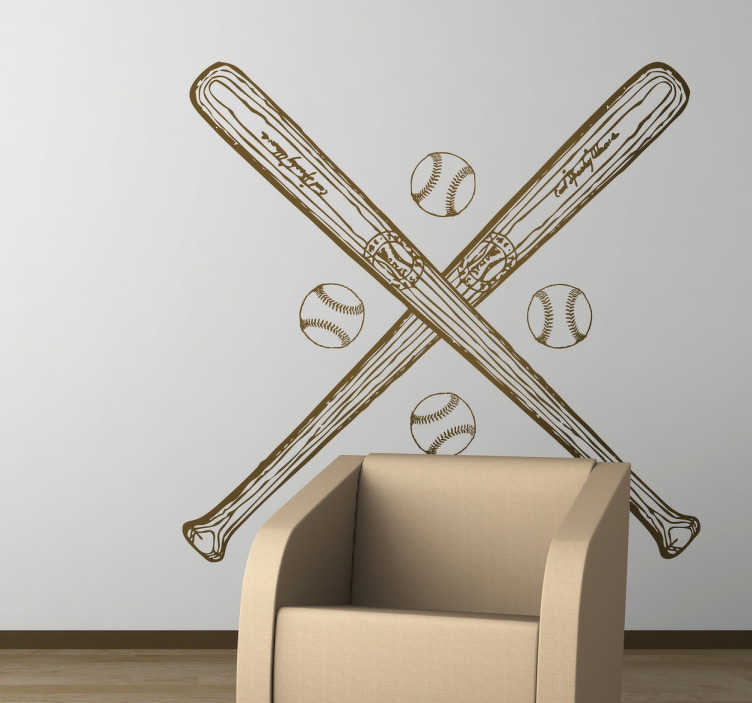 A great wall sticker for fans of the American sport of baseball. A design of two bats crossed together and four baseballs. If you love to play this fun sport then why not decorate in a way to suit you and your interests! Apply this baseball sticker with a cool vintage style design easily to any flat surface. Ideal also for decorating sports facilities or schools. Choose the size that best suits you. Made from 100% high quality and anti-bubble vinyl.